AbbVie Ventures, Brandon Capital’s Medical Research Commercialisation Fund and OneVentures announced an $6 million investment into Paragen Bio. Paragen is focused on treating autoimmune diseases, which are rising in developed countries, based on research with parasitic hookworms. The work promises treatments for autoimmune diseases such as rheumatoid arthritis, inflammatory bowel disease and asthma. Paragen Bio, a biotech spun off from James Cook University, just raised $6 million to develop treatments using the blood-sucking hookworm parasite to combat autoimmune diseases such as rheumatoid arthritis and asthma. The investment to the North Queensland startup comes from a syndicate of AbbVie Ventures, Brandon Capital’s Medical Research Commercialisation Fund and OneVentures. Paragen’s technology is based on research into hookworms at the Australian Institute of Tropical Health and Medicine by Professor Alex Loukas and team for the past eight years. The technology was developed with support from the Australian Research Council, Queensland Government, and the National Health and Medical Research Council. Hookworms are blood-sucking parasites that frequently infect humans in tropical regions with poor sanitation. The prevalence of hookworm infections, common in tropical regions with poor sanitation, is slowly decreasing because of a modern lifestyle and access to anti-worm therapies. This lack of infection is linked to a rise in the incidence of autoimmune diseases such as rheumatoid arthritis, inflammatory bowel disease, asthma, and allergic diseases globally. In clinical trials, Paragen researchers have shown that experimental infection of human subjects with hookworms can protect against the onset of autoimmune diseases. Proteins extracted from hookworm saliva can prevent the development of symptoms associated with a range of inflammatory diseases. The $6 million raised will go to advancing the development of novel medicines sourced from hookworms to treat autoimmune diseases. Alex Loukas, Paragen Head of Research, says autoimmune diseases are reaching epidemic proportions in developed countries and there is an urgent need for new therapeutic approaches. 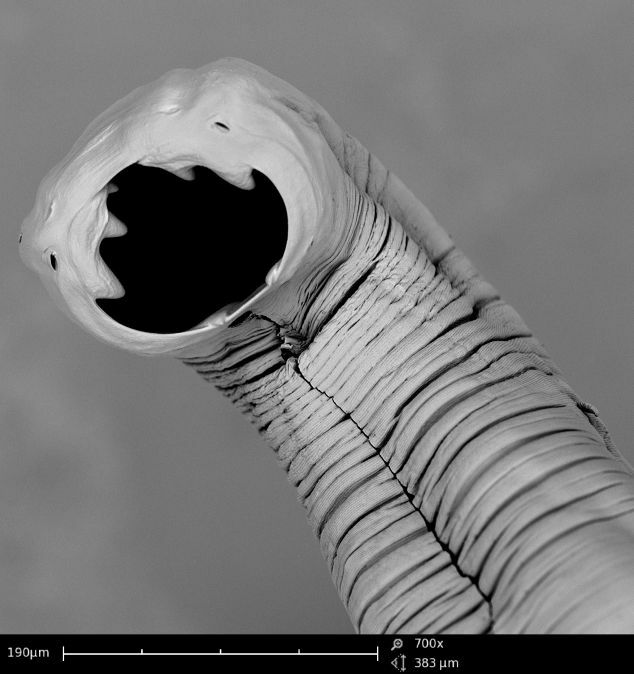 “At Paragen Bio we’re being guided in our drug discovery efforts by millennia of co-evolution between parasitic hookworms and their mammalian hosts, and in particular the effect hookworms can have on our immune systems,” Professor Loukas says. The Australian Institute of Tropical Health and Medicine was established with $42.12 million from the Queensland Government, with funding matched by the Australian Federal Government, with the aim of making northern Queensland a research and innovation hub, focused on research into tropical health and medical research. Venture capital investment from OneVentures’ Healthcare Fund III has been supported by the Australian Government’s Biomedical Translation Fund, a program established by the federal Department of Health to provide a pool of public and private funds for investment in promising biomedical innovations with commercialisation potential.